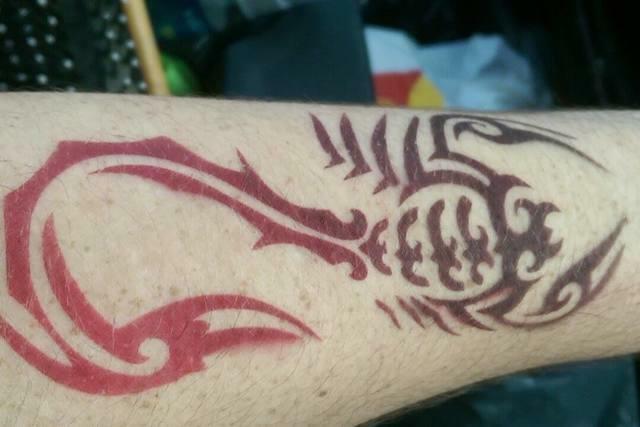 Airbrush Temporary Tattoos | JumpyKing.com Bradenton FL. 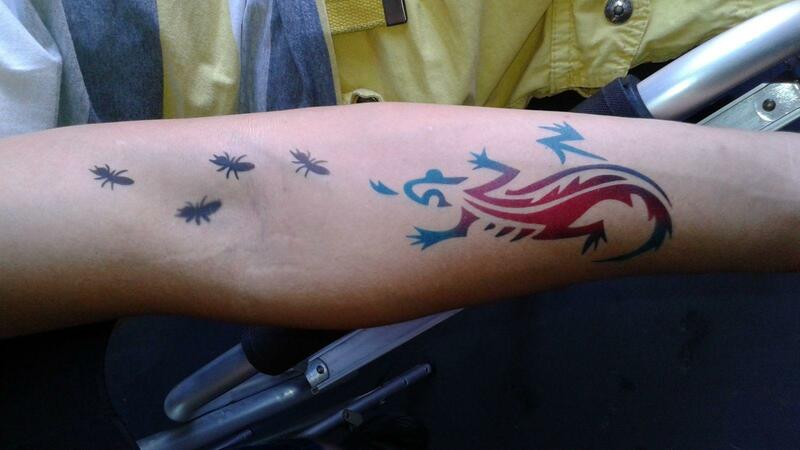 Airbrush Temporary Tattoos take seconds to apply, seconds to dry and look like the real deal! 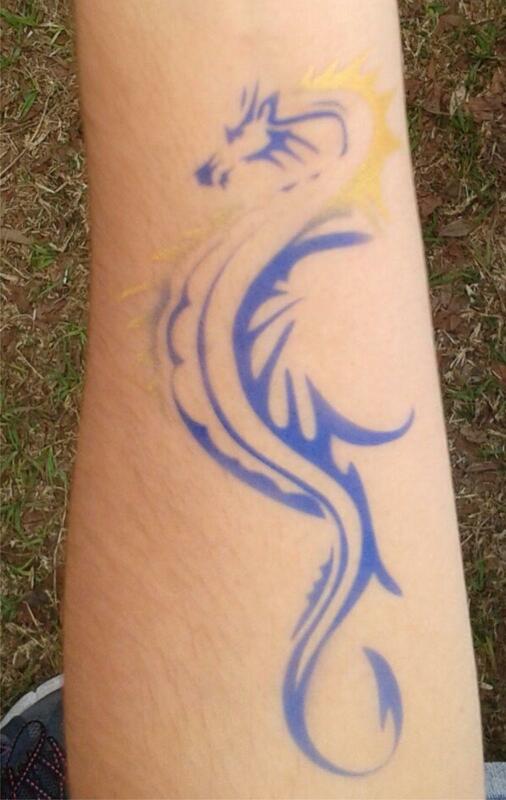 Airbrush Tattoos last up to seven days yet can be easily removed with rubbing alcohol. 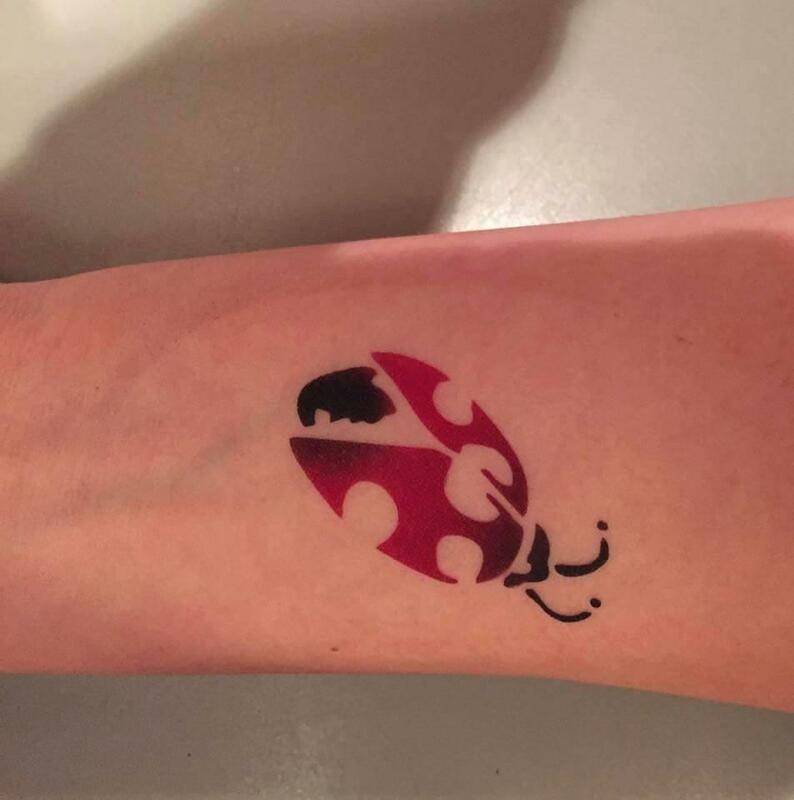 If you’re having a large party or event, or have a limited time frame, Airbrush Tattoos are a fun and cost effective way to entertain your many guests. Multiple artists are also available. All paints are safe, non-toxic, hypoallergenic, and are specially formulated for the skin only! Want them to sparkle?! We’ll even glitter them! We offer a huge selection of stencil designs, conveniently displayed on an easily-visible display. Designs can be limited upon request for your event, and you can even customize your theme! A huge array of Holiday Designs are now available. Airbrush Tattoos are an ideal entertainment choice for large events like graduations, sporting events, fundraisers, Birthday parties, Bar Mitzvahs, Bat Mitzvahs, Festivals, Company Picnics, and Trade Shows. Turn your business logo into a Tattoo! Ask us about our custom stencils! Price $100 for 1st hour and $75 each additional with a a2 hour minimum.